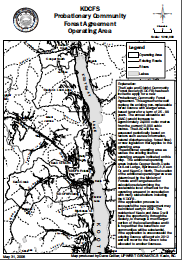 a community forest tenure. KART’s diversified planning committee worked to produce a governance model and shaped a non-profit society that would work towards the sustainability of the community and its resources. The final structure was assembled through consensus-based public consultation. 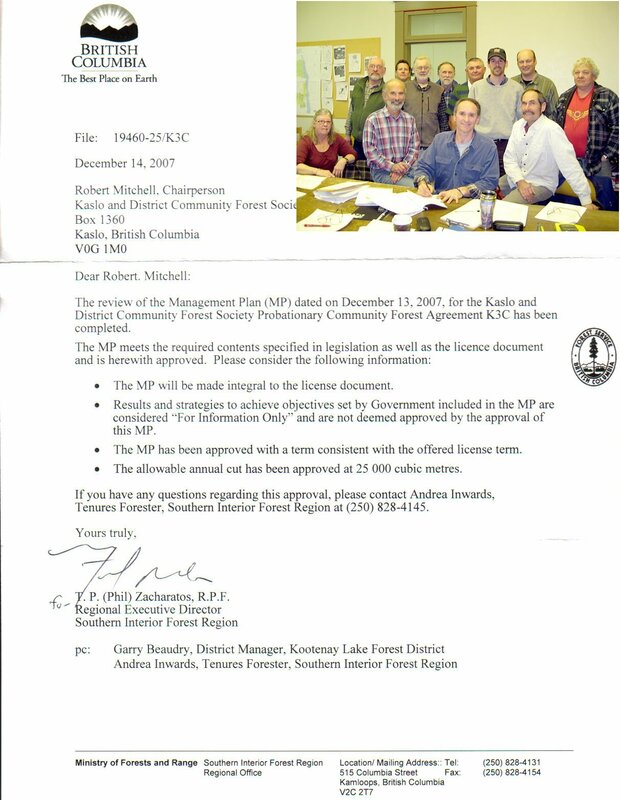 In 1996 the British Columbia Ministry of Forests granted three communities non-replaceable industrial forest licenses (NRFL): Kaslo, Creston and Revelstoke. Kaslo and Regional District Area D received a 15 year volume based tenure with an annual allowable cut (AAC) volume of 10,000m3. The non-profit Society incorporated that year with an operating area encompassing 6,100 hectares adjacent to the Village of Kaslo and received a Forest Renewal BC Community Excellence Award for their efforts in 1997. The tenure was awarded at the dawn of the 1997 political and regulatory changes that would lay the foundation for the pilot Community Forest Agreement (CFA) tenure program in BC. Its goals were to provide First Nations and BC communities with diverse and long-term opportunities in sharing social and economic benefits while fostering innovation. 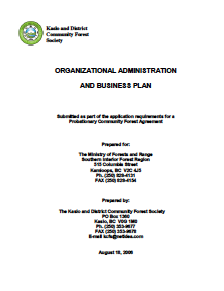 In 2004 further legislative changes transitioned the CFA program to a 5 year probationary term, which, in 2006, provided the KDCFS with an opportunity to apply for an expansion (Forest Agreement Operating Area) in license area to an AAC volume of 25,000m3. The new area-based forest license granted in 2008 (letter of approval) is a 99 year and 34,945 hectare tenure, which provides exclusive harvesting rights to the Society. 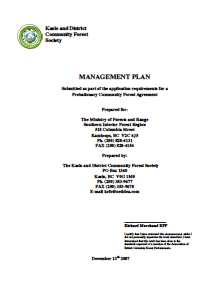 The Kaslo and District Community Forest Society is governed by a 9 member volunteer Board of Directors, seven of whom are elected by the membership for a one or two year term, and two who are appointees of either the Village of Kaslo or the Regional District of Central Kootenay Area D.
Today, the tenure is managed by Jeff Reyden, RPF, and Sabrina Mutterer, a local, contractual management team.